For too long, pharmaceutical companies have endangered patient safety by providing biased information about a medicine’s effect on their users. Indeed, the selective publication of clinical trials and their results is a common practice in clinical research. By engaging in this behaviour, their objective is to position their medicines in the most favourable way, often overselling their benefits and downplaying their harms. Public access to clinical trial data can help to address this problem. But arguments by the pharmaceutical industry on commercial confidentiality have been recurring. In early 2013, two pharmaceutical companies went so far as to sue the European Medicines Agency (EMA) to prevent public access to clinical trial data through the Agency’s policy on access to documents. 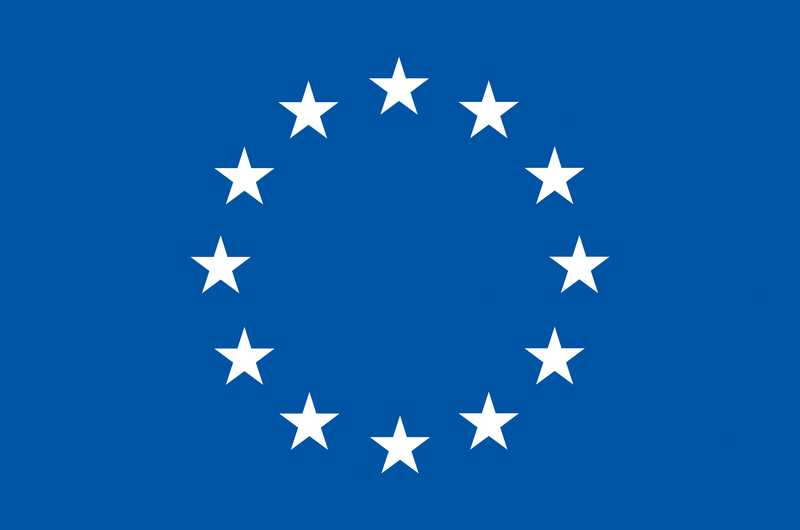 The basis of this policy lies in the European Union Regulation 1049/2001, which aims at ensuring the widest possible public access to documents from EU institutions. This Regulation is also applicable to the EMA. AbbVie was one of the two companies that lodged a lawsuit against the EMA. This case became particularly notorious because it involved the release of clinical trial data on Humira (Adalimumab), a best-selling drug for the treatment of rheumatoid arthritis. AbbVie argued that the disclosure of clinical study reports (CSRs) would violate its fundamental right to the protection of confidential commercial information. Unexpectedly, both parties ended up reaching an out-of-court settlement in which the EMA agreed to give public access to redacted versions of Humira’s reports. The EMA’s decision was highly criticised by civil society stakeholders, including Health Action International. The European Ombudsman, on his own initiative, opened an inquiry into the case. The Ombudsman’s findings, published in June 2016, revealed that remaining data redactions from Humira’s reports were not justified. Notably, the Ombudsman highlighted that public health should always take precedence over commercial interests. Similarly, in a prior case before the Ombudsman about public access to EMA’s documents, it was concluded that Clinical Study Reports (CSRs) and trial protocols on two anti-obesity drugs could not be treated as commercially confidential information. In the last couple of years, some important developments on data transparency have occurred in Europe. In 2014, the EU adopted a new Regulation on Clinical Trials, which mandates that Clinical Study Reports (CSRs) be published following the decision on marketing authorisation, either positive or negative. The Regulation says that, in general, information in CSRs should not be considered commercially confidential. In the same year, the EMA adopted a proactive publication policy (Policy 0070) under which the Agency commits to upload, on a publicly available website, the clinical reports it receives in marketing authorisation applications. In spite of growing recognition that the publication of these documents is in the public interest, the EMA is again involved in a lawsuit initiated by a pharmaceutical company to prevent the disclosure of a clinical study report on the grounds of commercial confidentiality. The case refers to the release of a CSR for Translarna (ataluren), an orphan-designated medicine for the treatment of Duchenne’s muscular dystrophy caused by nonsense mutations. Translarna was granted a conditional marketing authorisation in July 2014 after an initial rejection by the Committee for Medicinal Products for Human Use (CHMP) and a re-examination of the application. Final authorisation is subject to submission of additional safety and efficacy data from a Phase 3 trial. The medicine is commercialised by PTC Therapeutics, an American biopharmaceutical company focused on the development of small molecule drugs for genetic disorders. In October 2015, the EMA informed PTC Therapeutics that a pharmaceutical company had sent a request pursuant to Regulation 1049/2010 for access to a CSR that was included in the Translarna dossier for marketing authorisation. PTC Therapeutics argued that the report should be treated as confidential in its entirety, but the EMA decided that it could be disclosed subject to certain redactions. Finally, in December 2015, the company brought a legal action at EU level for annulment of the EMA’s decision. PTC Therapeutics claims that the entire report should be treated as confidential, or if the court does not agree on this point, that the company should be allowed to select passages in the report for further redaction. In addition, the company requested the court to apply interim measures, which ended up being granted in July 2016. This decision has already been appealed by the EMA. The publically available court document on the proceedings for interim measures reveals the arguments that PTC Therapeutics put forward to justify the non-disclosure of the Translarna CSR. The company emphasised the orphan designation status of the medicine under review (a drug for a rare disease). It came to argue that the development and manufacture of medicines is a very expensive process and adequate incentives need to be in place, particularly in relation to orphan medicines, a small and “potentially unprofitable” market, where it is difficult to conduct studies due to the small number of eligible patients. The company went on to say that the CSR under dispute divulges an “in-depth evaluation of the data collected, insights into study design, criteria selection and statistical approach, and a detailed description of how the applicant runs its clinical studies” and discloses its “inventive business strategy for carrying out the clinical studies” needed to obtain a marketing authorisation for Translarna. According to PTC Therapeutics, the three key documents to be disclosed to the public from the marketing authorisation dossier are those already determined by existing legislation – the summary of product characteristics (SmPC), the patient information leaflet and the European Public Assessment Report (EPAR). Nothing more. The EMA, meanwhile, argued that the disclosure of the report would not cause a serious and irreparable harm to the company. It went on to say that PTC Therapeutics did not provide any concrete example of a specific methodology or innovative result in the report which could result in commercial damage if disclosed, and that claims put forward on alleged know-how were vague and not supported by the features of the document. Notably, the EMA emphasised that the report forms the basis for the benefit-risk assessment of Translarna and provides information about the clinical effects of the medicine. It also argued that the disclosure of scientific information from marketing authorisation dossiers “stems from the obligation to ensure that patients and healthcare professionals are not provided with incomplete and selective information”. In the EMA’s opinion, the company’s contrary view “disregards the fact that the main pillar of EU pharmaceutical law is the protection of public health”. The EMA emphasised that, in accordance with access to documents regulations, the widest possible access to documents should be provided to other actors. Whilst the arguments exposed here refer specifically to the case on interim measures, there is a high degree of likelihood that the company is using the same rationale with regards to the main case. The claims asserted by the company in the Translarna case are appalling for several reasons. First of all, the company downplays the importance of transparency of CSRs to public health. Independent studies have shown that these documents provide, by far, the most complete record on each trial when compared to other sources of information, including EPARs. Cases, such as oseltamivir and rosiglitazone, provide evidence that public access to CSRs can indeed help improve public knowledge about the safety and efficacy profile of medicines. In addition, the company’s use of the orphan drug status to justify data secrecy is outrageous. Research on rare diseases would most benefit from clinical trial data transparency. For example, pooling data from a variety of small studies can help to generate a much better understanding of diseases and treatments. Data transparency can also avoid duplication of trials and unnecessary exposure of participants to harm. Keeping clinical study results out of public scrutiny is just bad science and contrary to patients’ best interest. Informed decisions on treatment rely on the provision of comprehensive, unbiased scientific information. Healthcare professionals and patients have called for clinical trial data transparency, and other stakeholders, such as the research community, health technology assessment bodies, and payers have echoed that call. CSRs provide information in the public interest and, as such, must be made proactively available. To date, more than 89,000 individuals and 700 organisations have signed on to the AllTrials campaign, which calls for every single trial to be registered and their results reported, including at study report level. Health Action International supports the view that the protection of public health is at the core of EU legislation on pharmaceuticals. Initiatives, such as the Clinical Trials Regulation and the EMA’s policy on proactive publication, show an increased commitment to data transparency at the policy and regulatory level in Europe. Pharmaceutical companies should acknowledge that data secrecy is not an option anymore. The publication in October 2016 of the first clinical reports under the EMA’s new policy on proactive publication marks an important milestone. We emphasise our strong support for the principle that such reports must be made publicly available to all. The outcome of this Court case can have important implications for trial data disclosure policies in Europe. Although the EMA was legally challenged in the past, the companies dropped the complaint and no final judgment was made. For many reasons, we hope that the result of this court case will firmly establish data transparency as the default position of the EMA. The opposite result could create a major setback of policy initiatives that are already in place, and broadly supported. Likewise, we also wish for a positive outcome of similar lawsuits the EMA is facing over the disclosure of two CHMP assessment reports related to the marketing authorisation for Vantobra (tobramycin), also an orphan medicinal product, and toxicity studies for a veterinary drug. Companies must be given the signal that suing regulators to prevent the disclosure of important information on medicines is not the way to go. Such as references to discussions on protocol design with the competent authority in the United States, batch numbers, materials and equipment, exploratory assays, the quantitative and qualitative description of the method for drug concentration measurements, and the start and end dates of treatment and further dates that, in the EMA’s view, could lead to the identification of patients.